It’s Kyle Willoughby and Claire White’s first Comic Convention! 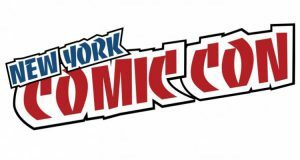 They spent a whole Friday at New York Comic Con (NYCC) – the largest comic convention in North America. After enjoying the panels, artwork, and cosplay, our hosts discuss the origins of fan conventions and the tremendous amount of work that goes into one of this scale. They also chat about their time at BookCon, a part of NYCC for the first time. Kyle and Claire conclude the show with their biggest takeaways and lament that one day isn’t enough!